A time-honored tradition among women is to hold a radically awesome bachelorette party for their soon-to-be married friend. Bachelorette parties range from weekend events in Vegas, to quiet nights with cheese, wine, and good memories. Regardless of what you choose to do for the bride’s party, there are steps that must be taken to ensure the party goes smoothly. 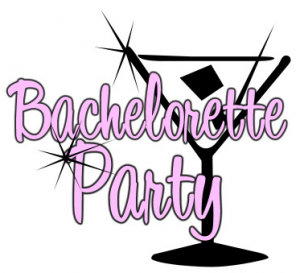 See our bachelorette party checklist template and print it to use as a guide to pull off the best celebration. Download the template here and read on to get some tips. Once you have the template open, you’ll see two columns: One to check off when a task is completed, and another column detailing the task. Here, we will elaborate on some of the tasks. Task B3 (column B, row 3): Generally the party consists of the bridal party, and occasionally family members or wedding attendees. Regardless, the bridal party most commonly organizes the party. If you don’t know each other, this is a great opportunity to become familiar and start brainstorming for the party. Task B4: When you’re with the attendees, pick at least 3 dates that work for everyone. This will help you with the next step. Task B5: It’s best to have just the planner meet with the bride to decide on, firstly, the date or dates that work for them. Next, discuss what the bride does and does not want at her event. She may be opposed to something outrageous, or she may be craving a road trip to Vegas. Make sure to establish with her who should attend, what items or activities are forbidden, and how much involvement she wants in it all. Task B6 & B7 & B8: Meet with the attendees again and firstly finalize what amount of money everyone can contribute. Once you have an established number, make a list of ideas for the party and then narrow everything down to fit the bride’s needs and your budget. Task B9: This is very important! Immediately after you finalize everything with the party, call any restaurants or other places to make reservations and collect all information you need to ensure you can arrive and celebrate. Task B10: Send out invitations. This is optional – if there are only 4 or 5 people attending, a Facebook event or text may suffice. Task B11 and B12: Assign everyone their job in bringing the party together (calling places, buying supplies, organizing a timeline, etc). Then, make sure everyone has their work done at least one week before the event. Task B14 & B15: Meet (over Skype or in person) with the attendees to confirm all details. Then – go out and have fun!